Muddy Paws & Inky Fingers: Happy Birthday -- to The Outlawz! 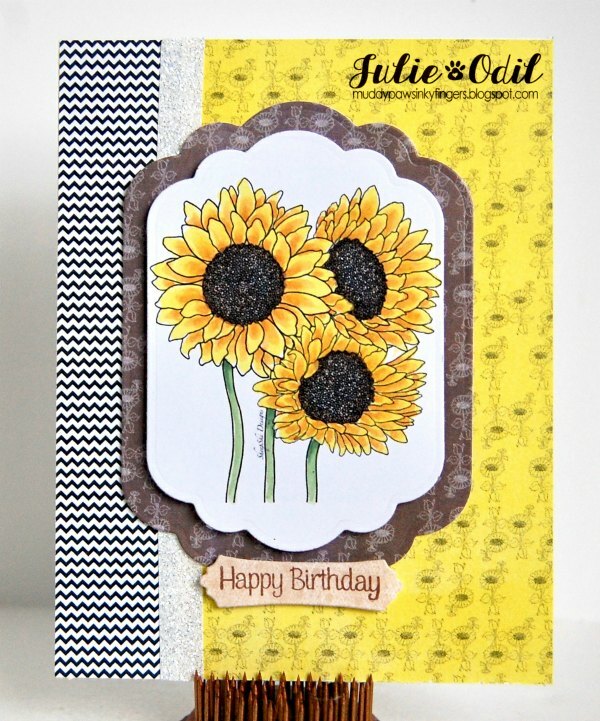 Julie, love this image since I sunflowers are one of my favorite flowers. Great papers to go with the image. 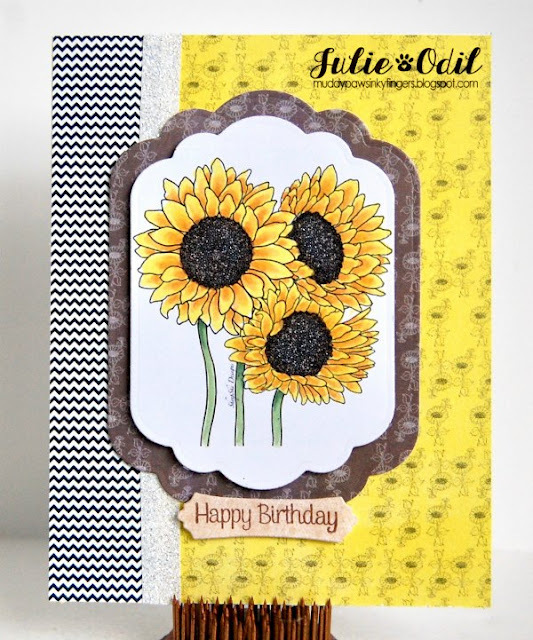 Julie, this card is so beautiful with your coloring and choice of papers! Wow, such a great card design! So glad you are helping the Outlawz celebrate 7 years of challenges! !